WeddingBands displays hundreds of women's wedding rings and men's diamond wedding bands of exceptional originality and spirit. From the Romeo-Juliet Verona Lace line to simple diamond band and eternity rings all unique designer collections. Most of the rings are manufactured using the latest CNC machining technology. Using the technology in the service of human imagination is what created our anniversary and eternity rings. View our collection of women's 14 karat gold unique wedding bands. Shop the most beautiful unique 18k gold women's diamond bands. 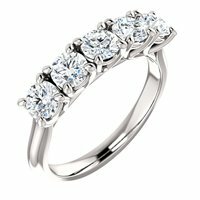 Elegant platinum diamond women's wedding bands made with 950 platinum. Eternity bands to match your engagement ring. A beautiful selection of men's 18K gold wedding bands. 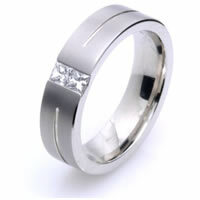 Elegant 950-platinum diamond men's wedding bands. 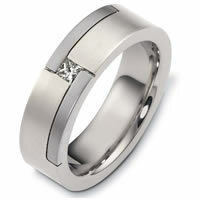 Collection of titanium men's wedding bands. A beautiful selection of palladium wedding bands. Diamond Wedding Bands and Diamond Wedding Rings. Our diamond wedding rings are manufactured using the finest quality of precious metals, gemstones and diamonds. 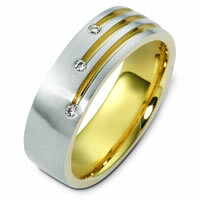 WeddingBands.com manufactures the diamond bands and rings with gold, platinum, palladium and/or combination of these metals. 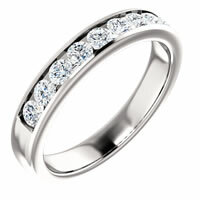 Our platinum anniversary rings and eternity rings are manufactured with 95% platinum. The diamonds used in our wedding rings are all calibrated to give the maximum brilliancy and fire. You can customize your diamond wedding ring simply by emailing us your sketches to CustomerService@WeddingBands.com or calling us at (888) 422-4333.